Ask Engadget has a question from Tony; what's the best easy, efficient NAS-type device? I know exactly how he feels, I've asked that same question. To me, the answer is crystal clear: Windows Home Server. Here are some of the requirements Tony had for the ideal device with my response to each. Yes, Windows Home Server works with a Mac. In fact, you can set your Apple Backup or Time Machine to save to your WHS. 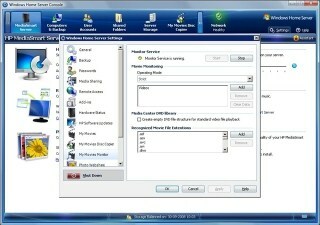 You can even use Windows Home Server to expand the partition on your Mac. Allow me access when I am on the road (away from home) to add new torrents, see status, etc. Without a doubt, one of the best features of Windows Home Server. Not only can you access it away from your home (with <your name>.homeserver.com), you can wake up other computers on your network and remote into those. Work with my Airport Extreme with a HD attached [& AppleTV]. I don't know about that (I don't have one), but it works with all the Media Center Extenders, including HP's MediaSmart LCD HDTVs. Can also be used with a (Xbox) 360 if the ATV is a make or break. Yes, an Xbox 360 is a Media Center Extender. 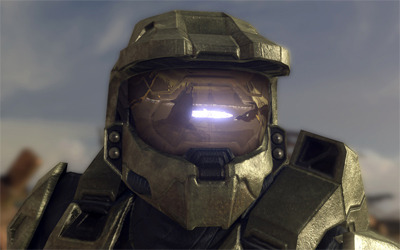 You can connect to the photo, video, or music content on your WHS through your Xbox 360. Expandable via drive bays or USB 2.0. 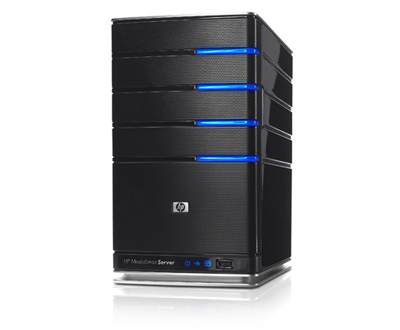 Windows Home Servers are built for easy drive access, many of the manufactured models have drawers and easy install systems for drive expansion. Once connected, WHS will prompt you to add the drive to the total storage. If you use redundancy (which is a good idea), WHS will automatically keep two copies of your data on different drives. You can also use external USB drives if you like, even USB thumbdrives can be added as storage. Not be a power pig. 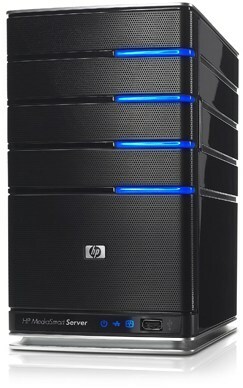 Home Servers are designed for low power consumption. On top of what the manufacturer has done, you have all the standard Windows power options. WHS is designed headless (no monitor needed), and because you can wake your home machines remotely and put them to sleep when you're done, WHS saves power beyond itself. Price is not really a major object, but of course good value is preferred. I think the price is something that will surprise people, and there are annoucements coming later in the year from partners on that. For those on a budget, you can build your own. A 3.4ghz Pentium 4 CPU & motherboard combo is only $119 right now. You can customize your WHS for low noise, low power consumption, or massive drive space. It can be the ugly beige box in your garage or a tricked out case mod in your living room. Must be quick and easy to add and delete torrents, as I don't have a lot of time to muck around. No problem. There is already a Windows Home Server add-in for uTorrent. It snaps right in to the Home Server console which is available from any machine on your Home Server network or through the Internet. Of course, Windows Home Server does much more than this. After using one at my house for several months, I'd even say it qualifies as a life-changing NAS. One question... I do a lot of testing of the Microsoft products and so on. One of the "unusual" things I have is a ISA firewall and a Domain. Now I understand the home server can't be part of the domain, but what about working with ISA? Last I heard ISA is a strict NAT routing firewall so even things like XBox Live has issues (it does let me connect out, but I can't host in a lot of scenarios). So what about the Home Server? I use ISA's VPN capability most of the time, but are there any rules regarding what ports should be open? How well does something like Home Server operate in this environment? I have a DFS setup between a storage server and my DC that I would like to migrate to Home Server setup in a new box that is less power hungry. Sorry to be so technical, but I was not sure where to start on this. What would be another killer app for the WHS is a full blown automation and monitoring add-in! I can't wait to get mine!